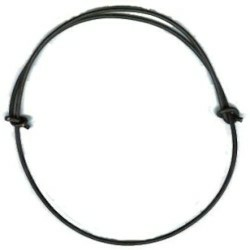 The sale and production of the .30 cal - .308 banded solid bullet has been suspended by the ATF therefore .308's are no longer available for purchase. 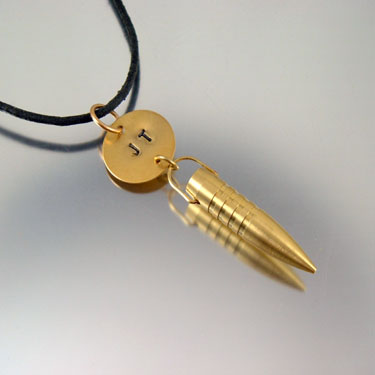 If you want a .308 bullet pendant necklace I highly recommend you order it now while I still have them on hand. .308 Sleek, and fast. 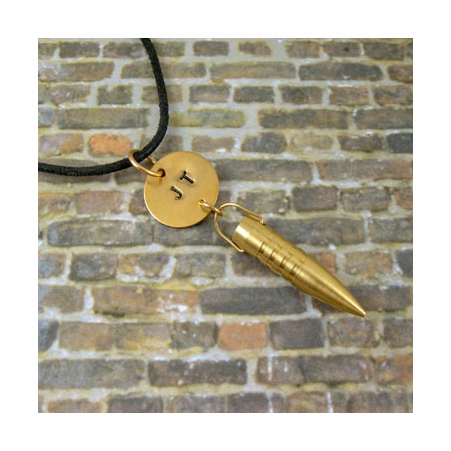 This .308 bullet necklace has been kept in it's original beautiful form, banded solid brass. 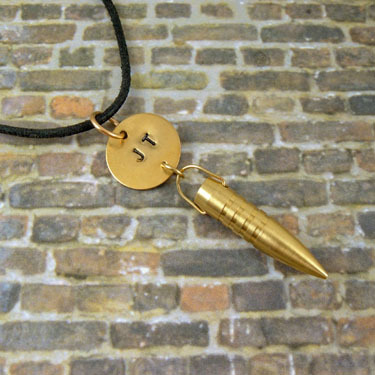 Its hand forged bail holds a 20mm brass disk with your personalized initials. 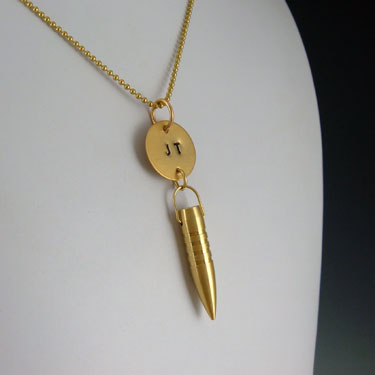 This simple and stunning bullet pendant comes with an 18" brass ball chain or a leather adjustable cord. 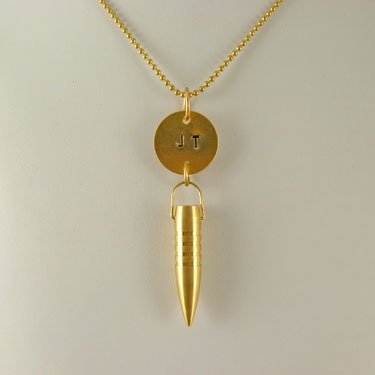 REMEMBER TO INCLUDE YOUR CHOICE OF INITIALS AT CHECK-OUT IN THE COMMENTS AREA Can be ordered with no initials...let me know in the comments area when you place your order.